Recommended by several influential television celebrities in the Netherlands, I decided that I had to read something by Sedaris. So I searched for a cheap second hand copy on Amazon, to see if the fuzz was justified. I started reading this in the fall, a few months too early I found out by the time I had reached the second short story in this little book. Only six stories in there, by the time I noticed that the second story was also about Christmas, it was too late. I couldn’t let the book lie restless for another few months; I was hooked. Sedaris has a great sense of humour. As any other good author of short stories and columns he is an observer of human behaviour. Next to that he has the skill to write his observations down with a dry sense of humour, exaggerating the extremes, without making it a farce. 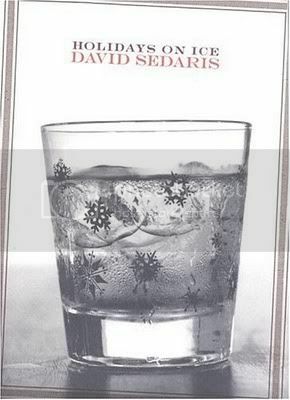 Six great stories, Sedaris has passed his first exam with me, I want to read more. And I found out we share our birthday. Irrelevant, but I think it’s funny.